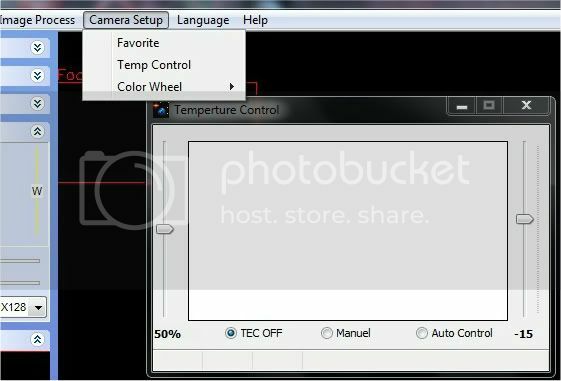 Chill: reduce the temperature gradually, and run the camera in Live (under the Preview tab) to keep the chip from any chance of icing. Focus: Select your star by clicking on it’s image in the Preview tab. Then go to Focus, hit Live and teak the telescope’s focuser to get the lowest FWHM number. In this section I am going to talk about alignment, framing your target, getting an initial exposure to gauge sub length, setting up a schedule of exposures and setting up Deep Sky Stacker correctly to stack your results. To help with the mount alignment, EZcap includes a reticule to help you centre your chosen alignment star. If you have ever used Al’s Reticule, then this is similar. Go to the Preview tab again, and hit Live. This will give you a constantly updated image on screen. The exposure (in milliseconds) is set by the slider on this tab. Now click on the Cross button. This will place a Cross on the image, which you can use to centre the star in the FOV. Once you have the star centred you can then command your planetarium software to synch to that star. The Preview tab also has an option to superimpose a grid pattern which can help you to repeat the framing of a subject if you are capturing data in different sessions. A note about the Live button and the Preview button. As mentioned above, Live gives you constantly updated image on screen. Preview takes a single exposure and displays it onscreen. The image is not updated or downloaded onto the PC. 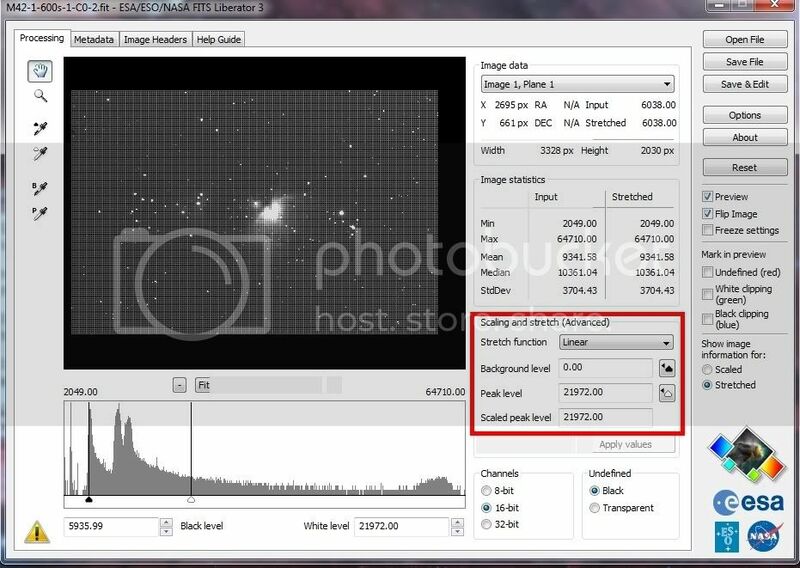 The Capture window allows you to set the exposure by moving the slider. If you right-click on the slider a pop-up will open which allows to select from a list of exposure lengths. You can also swap between milliseconds and seconds by clicking the button just above the slider. Below the exposure area are two bar graphs. 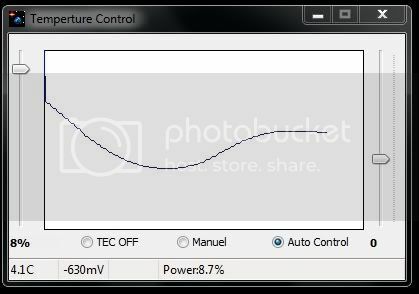 The upper one shows the progress of the current exposure, the lower one is activated when the camera is sending the exposure back to the PC. Below these is the histogram. 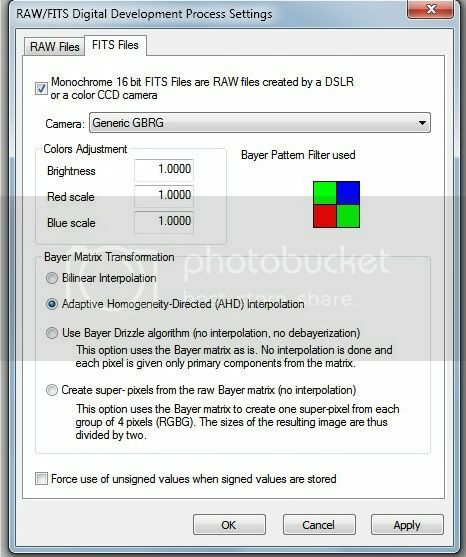 If you are not used to CCD cameras you might be wondering how to set the White Balance. Because the camera downloads .FITS files, there is no WB setting. This is all altered in post-processing. In this section, you can set the binning modes. The QHY8L camera supports 2x2 and 4x4 binning modes only. However, these output grey-scale images only, so they are only really useful for focusing and framing. There is also a high Speed download button which is used only (as far as I know) when getting an image on-screen. You set the number of exposure under Repeat. 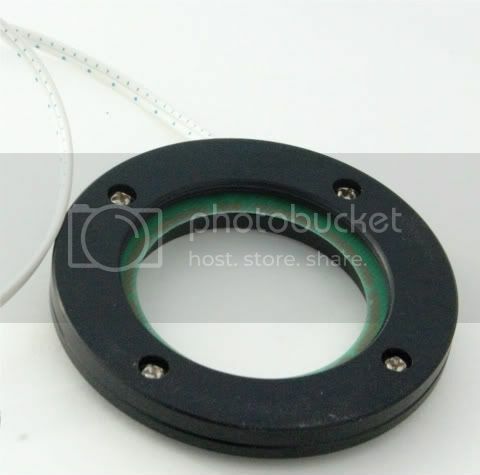 The ColourWheel section is not used if you are using the QHY8L, as it is a One-Shot-Colour camera. If you want to set another schedule for exposures of different lengths, then you make another line active by ticking the tickbox on the next line. You might, for instance, want to set up 300 second exposures for the nebulosity of M42, and a set of 30 second exposures for the core. Click on the Folder button to set the download folder for the resulting images. Below this, you have an area to name your images. You can either free type into the field or used the keypad below to input the name. The Start button does what it says. The Force Stop button will cancel the current and subsequent exposure and download the partial sub to the download folder. Below this are checkboxes for Dark and flat frames. If yo tick one of these, the resulting image name will be prefixed with “Dark” or “Flat”. Many people new to dedicated CCD camera have asked how to gauge the correct exposure length. Cooled CCD cameras are much more sensitive that DSLR cameras and it is easy to burn out the highlights, or loose the star colour. 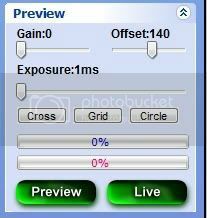 The way I gauge the correct length is to go to the Capture tab, set an estimated exposure length. 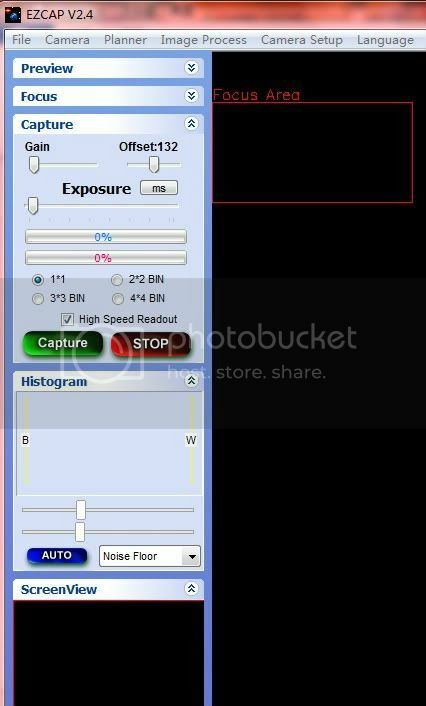 When you have set your exposure, make sure that the High Speed Readout is not checked, and then hit Capture. This will expose the camera and display the results on the main part of the screen. The image is not saved top to the PC. You can then check for burnt out highlights, correct exposure and so on. I have not found any way to display the whole image without scrolling around the screen which makes this a bit awkward, so I use now download an image and test it in a program called FITS Liberator. Open the Planner as described above, and set an exposure plan with a single sub length. Once the image has downloaded, got to the download folder and click on the .FITS file, which should launch FITS Liberator. 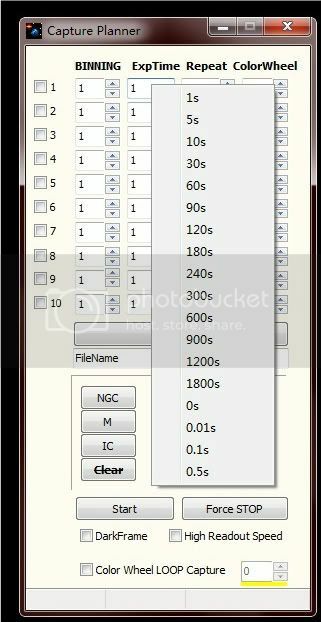 FITS Liberator allows you to view the FITS file, stretch it, check for over-exposure and save it as a variety of images. Really, all I am going to use it for is to check for over-exposure and to convert the FITS file into a TIFF. When FITS Liberator opens, you may see your image onscreen. If it is viewable, it will appear in greyscale as it is not de-Bayered. If you cannot see anything, you will need to perform a stretch of the data. Click on the Stretch Function and select ArcSinH(x), which will perform a stretch of the data. You should now see something in the preview window. 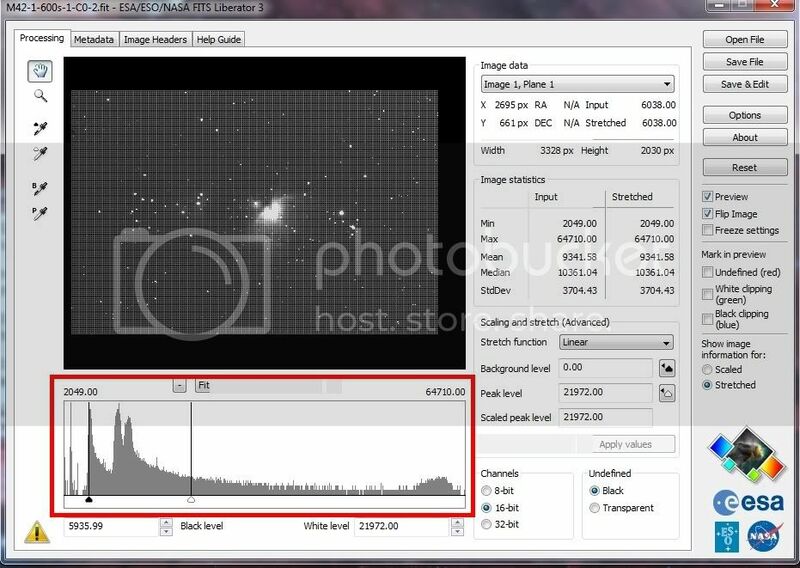 Below the preview window is a histogram, where you can move the Black and White levels. This shows the values of the pixels contained in the image. Bear in mind that a single pixel can have a value from 0, meaning that no light has been captured to 65535 (2 to the 16th power, including zero) meaning that the pixel is fully saturated. Once a pixel on the CCD reaches 65535, it is fully saturated, and will only show pure white. 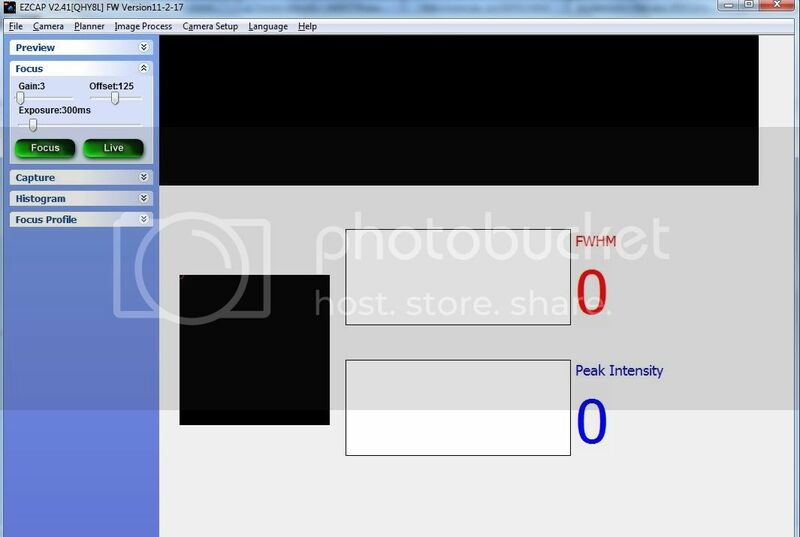 The Image Statistics section will show the minimum value for pixels in the image and the maximum. You should really try to avoid the image going to 65535 as you have over-exposed some areas (normally the stars, so you will have lost the star colour. If you want to open the file in Photoshop, then click on the Save File button on the right hand side and save the file as a TIFF. The resulting TIFF file will be in grey-scale as it still has not been de-Bayered. This is useful to perform an initial stretch in Photoshop to see what data you have captured. Once you are happy with your exposure length, go back to EZcap, open the planner and set your desired exposure length and number, click on Start and away you go. If you are using DSS to stack your resulting images, then you might find that your images have a strange grid pattern visible. This is the Bayer matrix, and you have to tell DSS the correct type to use. Go to the Options section and select Raw/FITS DDP Settings. Click the FITS Files tab in the resulting window and click on the drop-down at Camera. Select Generic GBRG” which then tells DSS the correct de-Bayering mode.